Having a good credit score plays a major role in most of the necessities of life, from applying for a job to applying for a loan. And it’s all based on around those two words, you’re approved. So why does a better credit score give me advantage over a bad credit score? This is because someone with high credit score is regarded by institutions, particularly financial institutions, as being less of a risk. Your credit score combined with your credit history have an impact on the interest rate and credit limits that you will be eventually approved for. Specifically talking about car loans, they can be secured from car dealership, financial institution, or third-party loan provider. For someone with an excellent credit score, this simply means you can walk comfortably into a bank, dealership, or financial institution and easily get approved for an auto loan. Things are not usually so simple for those with less than excellent credit. They tend to face several rejections from banks and lending houses. But the good news is that there are lenders who are ready and even specialized in giving auto loans to people with poor credit. DriveNation being one great example. They can help someone with poor credit get approved for a vehicle that fits their budget and lifestyle. They can even help people to rebuild their credit score. If you have a less than ideal credit score, one of the best ways of improving your chances of being approved for financing is to start saving for a down payment. Paying a substantial down payment will help reduce the amount you owe on your loan, as well as lower your monthly payments. This would help you focus on other financial obligations and payments, such as a mortgage, credit card, and student loans. Over time, your substantial down payment could be the factor that turns a bad credit situation around. The more your down payment, the more equipped you will be to make timely payment. As soon as possible, step up to a savings account and start saving as well. Before you opt for a car loan it is important you have a good idea of where you stand financially. You can do this by engaging in some research to know what you have in your account and what your credit score looks like. Consider how much money you owe to other creditors, account for the money that you earn, and start developing a budget for how much of a car loan you can afford. Develop a good relationship with your budget to stay on top of savings and debt management. 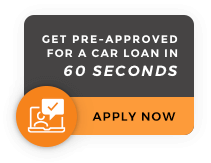 This will make your life so much easier, allowing you to easily sign a new car loan with confidence as you know what you can and what you can’t afford. The fact you have a poor credit score does not mean you should jump on the next available lender who is ready to finance your loan. There are a good number of lenders and loan facilitators that can assist low credit car buyers obtain auto financing. Therefore, it is important that you conduct research and compare lenders. This is because loan features and terms provided by these lenders vary. These providers offer different options, some will be more favorable than others. When comparing lenders and loan providers, you must remember to put your personal needs and wants into consideration. Although low or poor credit can slow down your application process, one very important way to speed up the process is to have all the important documents ready at hand for the lender. Some of the documents that may be of help and should be at hand when you visit the dealership include valid driver’s license, proof of income, banking information and any requested references. Although having a good credit score should improve your chance of getting approved, if you are not adequately prepared, the process can take as long as someone who has bad credit score. It is important that you check your credit score before you apply, as this would help you know what to prepare for when you visit the dealership. The internet has a trove of information and independent lenders that can be of assistance when it comes to applying for auto loans. But just like every other thing that is done online, you must be cautious when applying for auto loans. Do intense research about the company before you supply them with your personal information. Most of these online lenders are established on the premise of saving time. Instead of you having to walk into a dealership, spend lots of hours, and then still leave empty handed because you were rejected, you can simply do this online. At DriveNation, we make this process a breeze for you. Our 15 different lenders, including one exclusive to us, help to give us one of the highest loan approval rates in Western Canada. Whether you want to finance through a bank or gain access to our in-house options, it all starts with just a 60 second pre-approval that you can do online. Visit www.drivenation.ca/get-approved and take your first steps to your next auto loan, today.